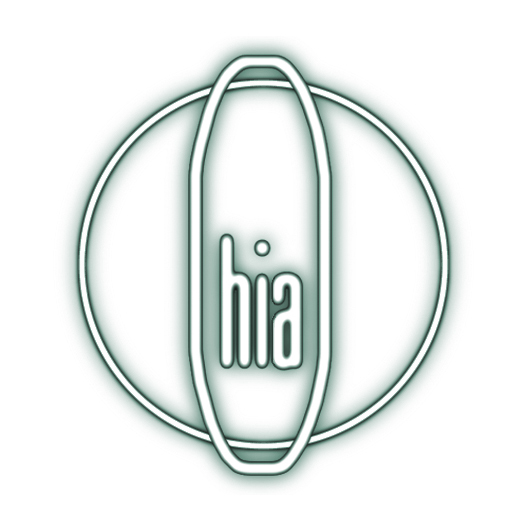 Higher Intelligence Agency was formed by Bobby Bird in 1992, at the same time as he & some fellow electronic music enthusiasts started up the legendary experimental electronic music club, Oscillate in Birmingham. At these early Oscillates, Bobby brought along various bits of kit from his home studio and started to experiment with it in a live setting, mixing in live tracks between vinyl; this was the beginning of the Higher Intelligence Agency. Soon afterwards Beyond Records emerged, and the first track to be released, Ketamine Entity, appeared on the genre naming ‘Ambient Dub Volume One’ compilation album. This was followed by a single, ‘Speedlearn‘, a track on the groundbreaking Warp compilation ‘Artificial Intelligence 11’, and a debut album “Colourform“, released on Beyond records in 1993. Over the next couple of years Bobby Bird, ably assisted by fellow Oscillate DJ Dave Wheels, performed live as HIA throughout europe, while as part of the Oscillate collective, continuing to help promote & develop the burgeoning live electronic music scene with performances by HIA and other leading edge electronic artist’s of the day at the Oscillate club in Birmingham. Bobby continues to play occasional live dates as Higher Intelligence Agency, with recent appearances at the Detroit Electronic Music Festival , Boom Festival Portugal, and an upcoming date at O.Z.O.R.A. Festival Hungary. He also performs and records as a part of audio visual collective Modulate, and creates site specific Multi- Speaker Sound Installations.